Bristol law firm Gregg Latchams has enabled London’s Black Rock Whisky Bar to go ahead with its plans to open in Bristol city centre despite its building not having an existing alcohol licence. Gregg Latchams head of regulatory & licensing Ewen Macgregor was instructed by Tom Aske and Tristan Stephenson – the brains behind Black Rock, Fluid Movement, Sack and Surfside Café and Bar – to obtain a licence for the new venture in Marsh Street. The building – a former barristers’ chambers in which Black Rock will occupy the ground floor and basement – did not have a licence to sell alcohol and Bristol City Council, as the licensing authority, has designated the city centre a cumulative impact zone, which means licences are tightly controlled. Few new licences are awarded each year as there is a presumption for the licensing committee to refuse and lawyers say it is becoming increasingly difficult to obtain one. An application has to be made to the council and responsible authorities with a 28-day public consultation period where anyone can object. If representations are made and unresolved the matter goes to a hearing. Black Rock Whisky director Tom Aske said: “We are really grateful to Gregg Latchams for assisting us in obtaining the licence. This was the first time that we have taken on a project where the premises did not have an existing licence. Ewen Macgregor added: “I was delighted to have been instructed by such highly respected operators as Tom and Tristan to obtain the alcohol licence for their new premises in Bristol. 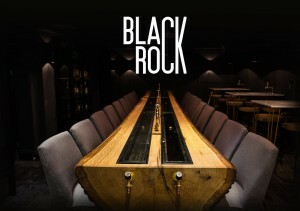 Black Rock in London’s trendy Shoreditch has been voted the best specialist bar in the Class Bar Awards for the past two years and nominated again at the 2019 awards due to take place next Tuesday.